AF-15 High Hat Bowl Riser for 75mm/100mm/150mm Bowl allows you to mount photo-video heads with 75mm/100mm/150mm half ball. 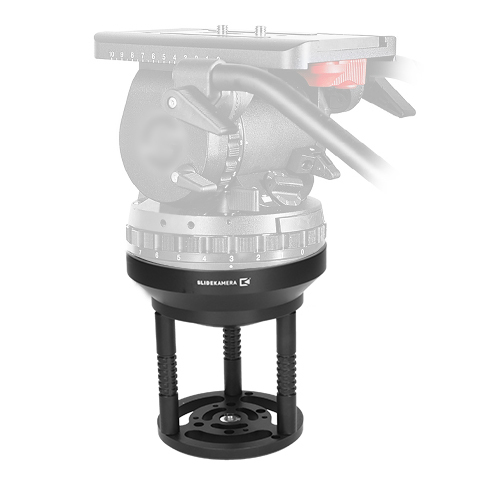 Replaceable Slidekamera HCZ Bowl matching systems such as Manfrotto, Sachtler, Miller. NOTE!!! Table below presents proper thread type for a given handle.